HRH The Duke of Rothesay, accompanied by HRH The Duchess of Rothesay officially marked the re-opening of The Fife Arms this morning. Their Royal Highnesses toured the former Victorian coaching inn which has undergone a much-anticipated restoration. Dating back to 1856, The Fife Arms is a beloved landmark in the village of Braemar, home of the Highland Games. 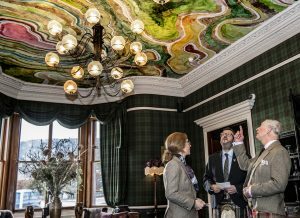 Under its new owners, Iwan and Manuela Wirth, of the international art gallery Hauser & Wirth, the hotel has been given a meticulous craft restoration, reviving the splendour of the former coaching inn and once again establishing it as a hotel for the Highlands. The Fife Arms brings together Scottish heritage, craftsmanship and culture with world-class contemporary art and a strong sense of community. The interiors are by designer Russell Sage (known for his work at The Goring and The Savoy) and feature over 14,000 historic objects, artwork and artefacts that have been collected over three years in order to tell some of them any stories associated with Braemar. The suites and bedrooms have all been individually designed – each one a homage to place, person or event with links to the area. 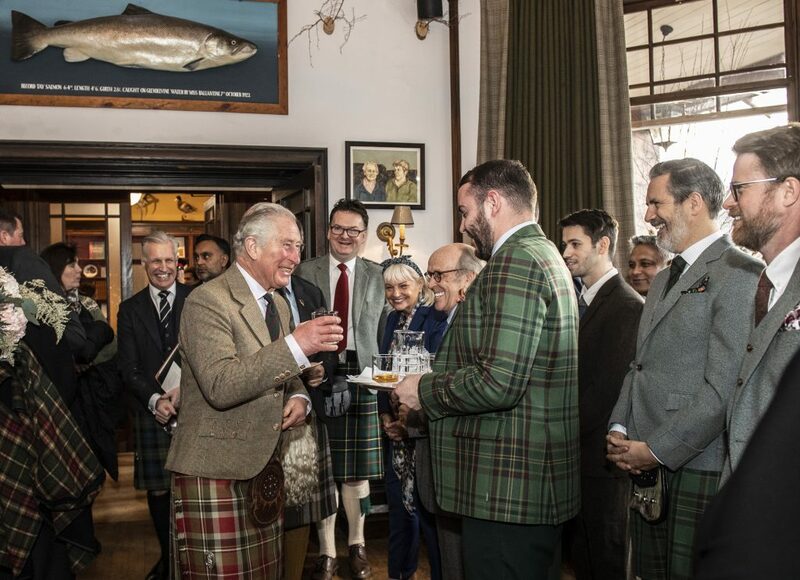 As Their Royal Highnesses marked the start of this new chapter in the hotel’s long history, its dedicated staff are proud to continue to provide comfort and good food and drink – much as their predecessors at The Fife Arms have done for over hundred and sixty years.